Picture above shows the charming downtown in Mount Dora, Florida. Our apologies if you were unable to access Topretirements last weekend. A server crashed at our webhost and it took some time toget everything running again. Meanwhile, keep your comments coming toour Blog articles - they&apos;re great! Own an exotic beachfront getaway for $35,000. Or romantic pied-a-terre for under $60,000. Enjoy fine restaurant dining for $7 per person. Employ a maid or gardener for $6 a day. Buy comprehensive health insurance for $20 per month. Get the details in your FREE report now. Understanding the baby boomer mindset is the first step in trying to sell us something. Some marketers get us, while others might be too young to understand what makes us tick. In this article we lay out 10 retirement appeals that aren&apos;t going to cut it with many baby boomers. Plus, how to tell if a new community is a good fit for you. 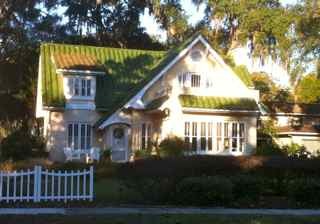 Located in Florida&apos;s alpine district (at a height of 184&apos; above sea level!) 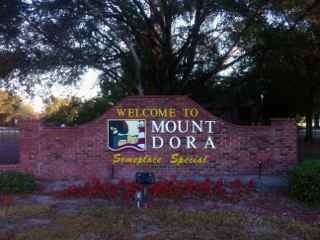 is the totally charming town of Mount Dora. Just this week the New York Times raved about its lakeside Victorian charm. If you think you hate Florida, Mount Dora has the best chance of changing your mind. Click on a state to see reviews of 796 great retirement towns, plus a list of 1,561 active adult communities. Over at our sister site, BestAssistedLiving.com, we have a helpful new article written by Amber Paley on how to spot nursing home abuse. Unfortunately this problem is all too prevalent; you need to know the causes and what to look for. Make your research easier. This handy book from Topretirementsgives you the inside facts and data on the 100 most popular retirementtowns. Available in eBook (pdf), Print, or Kindle for as low as $9.95. Mississippi is working really hard to become a retirement destination. And one of its stars is Hattiesburg, a Certified Retirement Community and home to 2 colleges and numerous active adult communities. William Carey College has an excellent Institute for Learning in Retirement program.